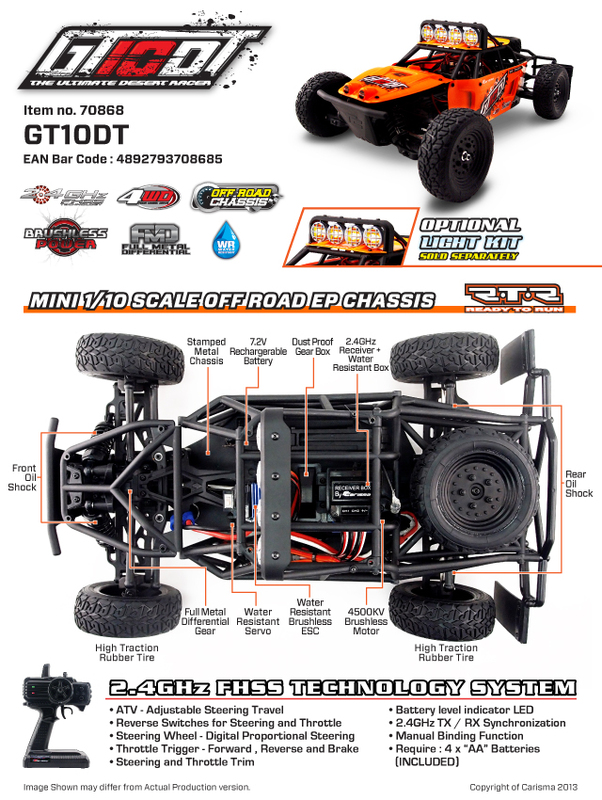 Offering a size that's unique within this product category, Carisma's 4wd desert buggy comes packed with an impressive list of standard features like 4500Kv brushless power and full-time 4WD featuring metal gear-equipped differentials with a center slipper clutch/spur gear drive train. 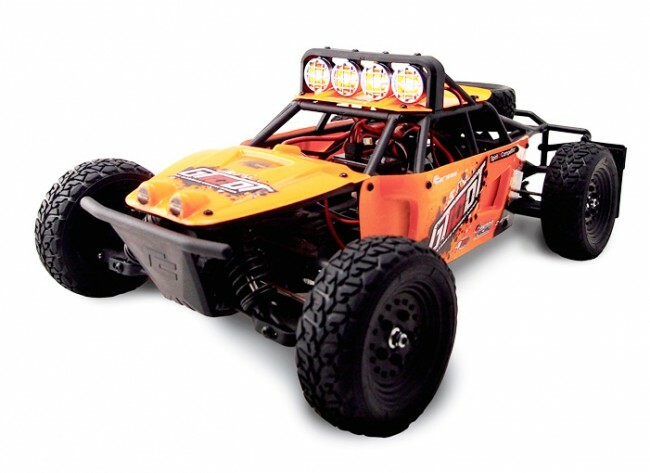 The Carisma 2.4GHz radio system delivers solid, interference-free control thanks to its FHSS technology while the water-resistant design allows for fun in most any conditions. Being RTR, there's nothing else to buy. 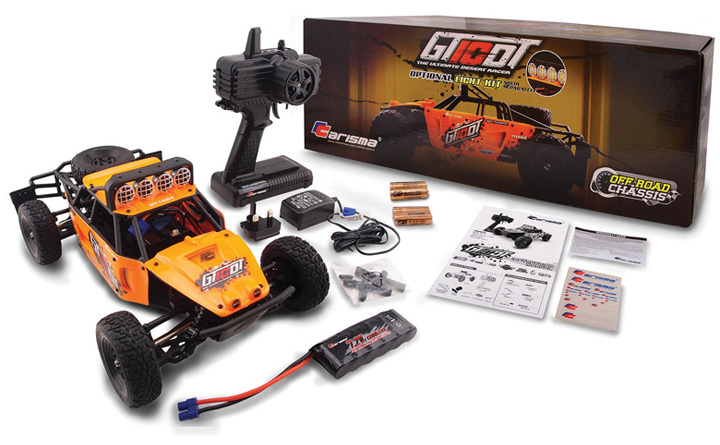 Transmitter, vehicle, battery pack and charger are all included! Additional Items Required to Purchase: Nothing!